This dry 100% palomino young white wine is excellent, really good. Here it is pictured next to its wood-reared little brother, Pitijopo #6. They are both from palomino grown by Primitivo Collantes on Finca Matalian, but whereas the Viña was fermented in temperature controlled inox (and has been a while in the bottle) the Pitijopo was fermented (by Ramiro Ibañez) in bota without any temperature control. 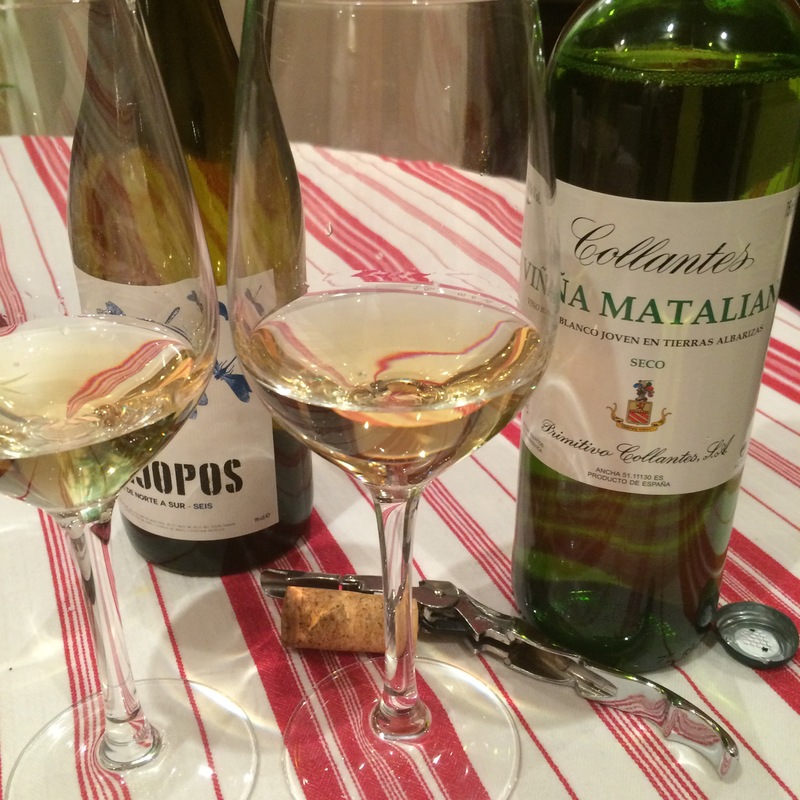 The Pitijopo was excellent (so much so that I have spent the last few days hunting out examples of wines from the same fruit) and it turns out the Viña Matalian is a twin (not an identical twin but close enough). As you can see above, it has a touch less green colour – it is a lovely clear gold. The nose is aromatic and fruity, full of sweet herbs and mature grapes. On the palate it isn’t quite as lush as its brother – a little more mineral and refined, but fresh and tasty, full of fruit and maybe more character. Really cracking wine. Apparently they are looking more seriously at making a white wine and when they do I would really recommend snapping it up.